When we are doing laundry, there seems to be something unusual that happens and it happens fairly consistently. I’m talking about the loss of a sock, and we may end up where an odd sock here or there. In fact, it sometimes happens so often that we begin to wonder if the washing machine is simply swallowing up odd socks at random. Our little pile of “orphan socks” can begin to add up very quickly. When you find that you have all of these extra socks laying around without a mate, it can be frustrating. It is then you have two different choices. You can either throw them on a pile and hope that the other one shows up soon or later, which it never does, or you can try one of these fantastic projects that makes use of socks in unusual ways. The Internet has really changed the way that many of us do things around the home. Often, we get ideas that we had never even considered possible before and it is almost a life-changing event what it takes place. Those events are sometimes referred to as life hacks, but it doesn’t matter what you call them, they can be truly phenomenal. 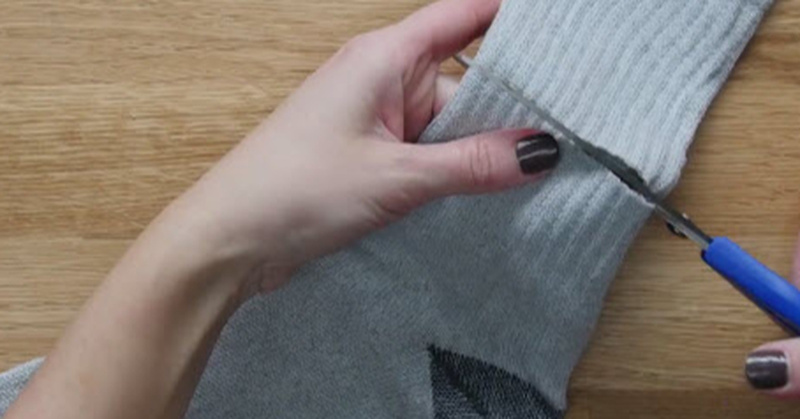 These are not necessarily life hacks but they are sock hacks and it can make a difference in the pile of orphan socks that you have laying around the home. In fact, you might be quite surprised at exactly how you can use them. What are some of the different ways that you can use orphaned socks? You can cover umbrellas, use them as a heating pad, freshen a drawer or even use them to hold your iphone. This awesome video shows you 8 different ways that you can use them around the home.